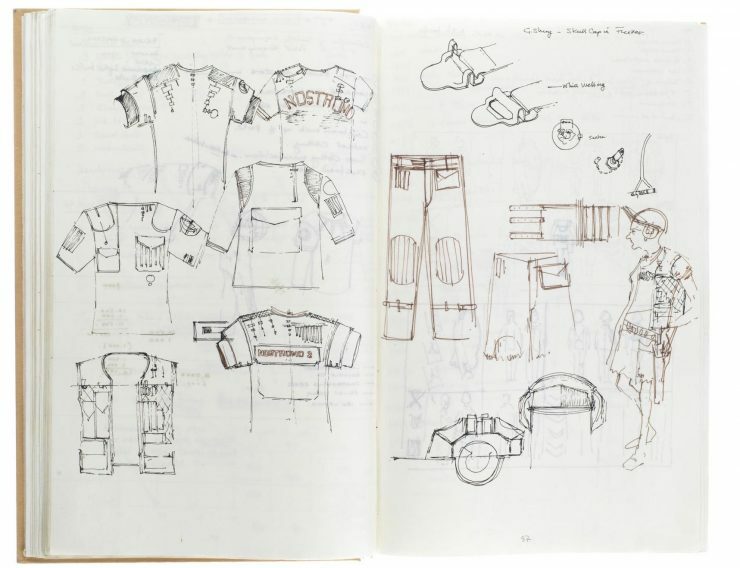 The Original Star Wars: The Empire Strikes Back Costume Design Sketchbook - Dr Wong - Emporium of Tings. Web Magazine. 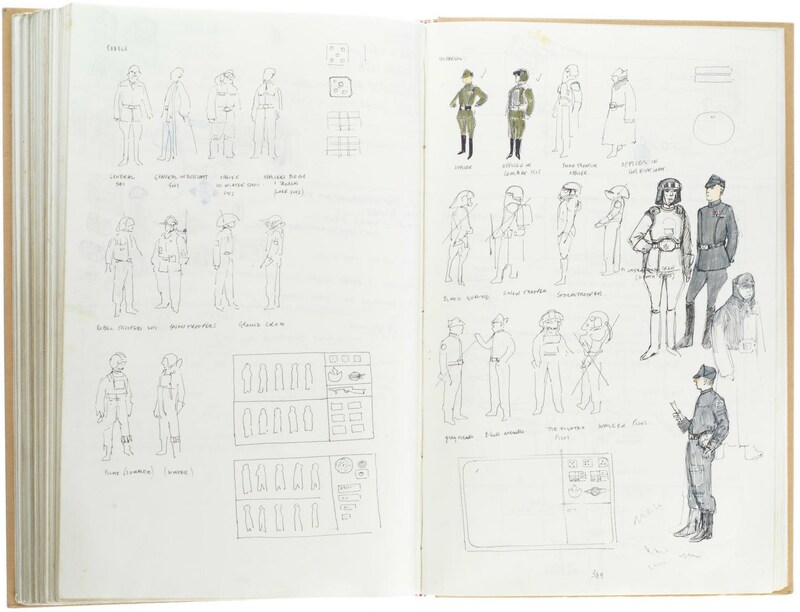 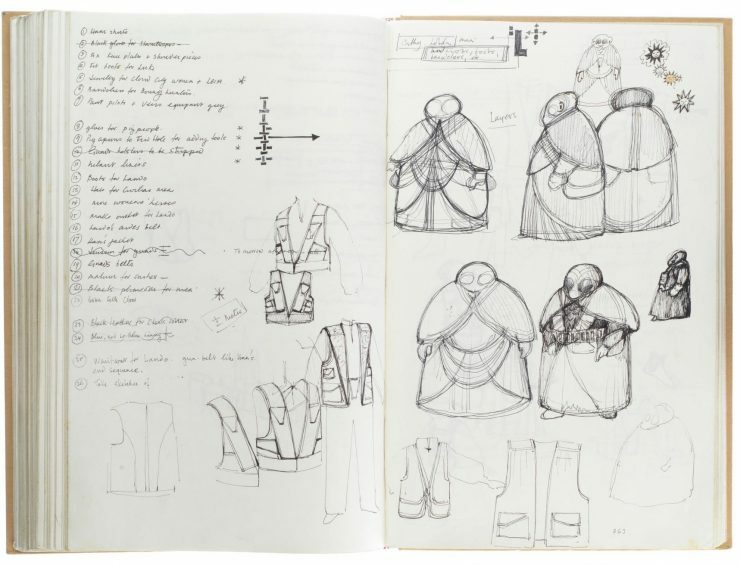 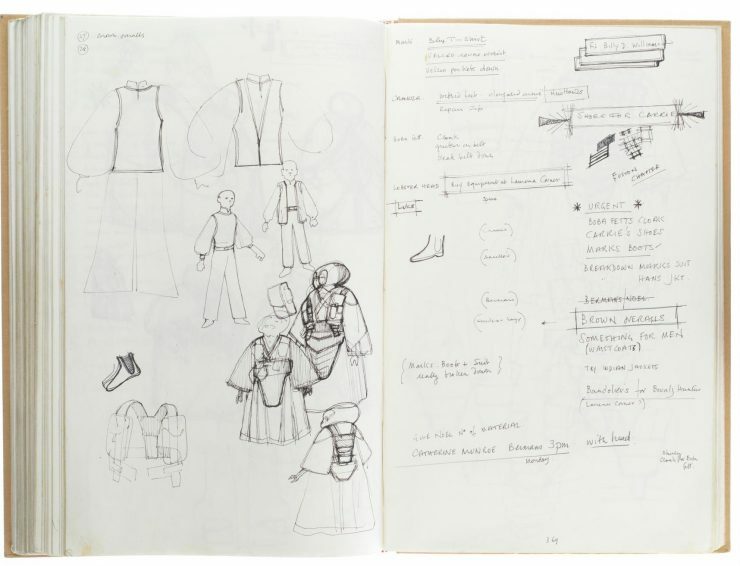 John Mollo was the costume designer for Star Wars (1977) and The Empire Strikes Back (1980), this is his sketchbook from the period of January 1978 to October 1979, and it includes many original costume designs from The Empire Strikes Back as well as two other films Mollo was working on at the time – Ridley Scott’s Alien (1979) and Douglas Hickox’s Zulu Dawn (1979). John Mollo wasn’t an obvious choice for the role of costume designer for Star Wars – he was a British military uniform expert who had written a number of well-researched books on the subject. 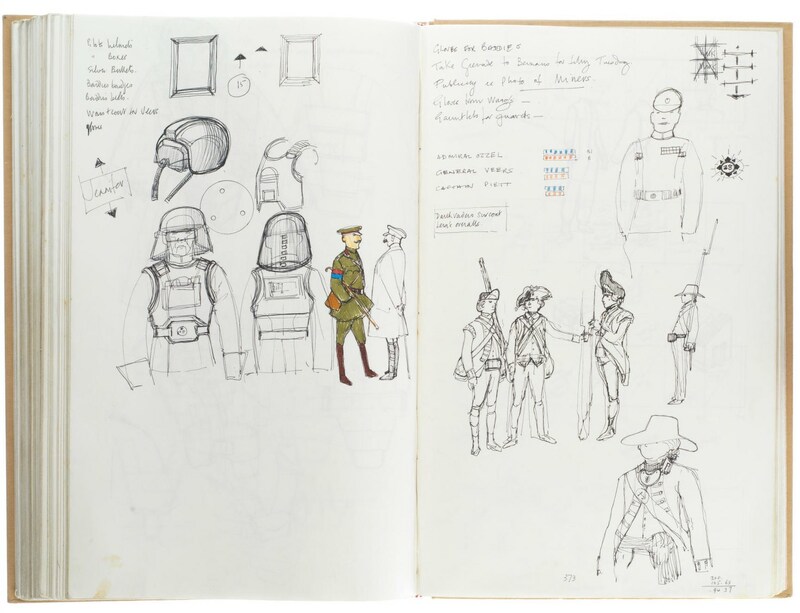 He had previously worked as an advisor on the productions of both Charge of the Light Brigade (1966) and Stanley Kubrick’s Barry Lyndon (1975) to ensure that the films had impeccable historical accuracy. 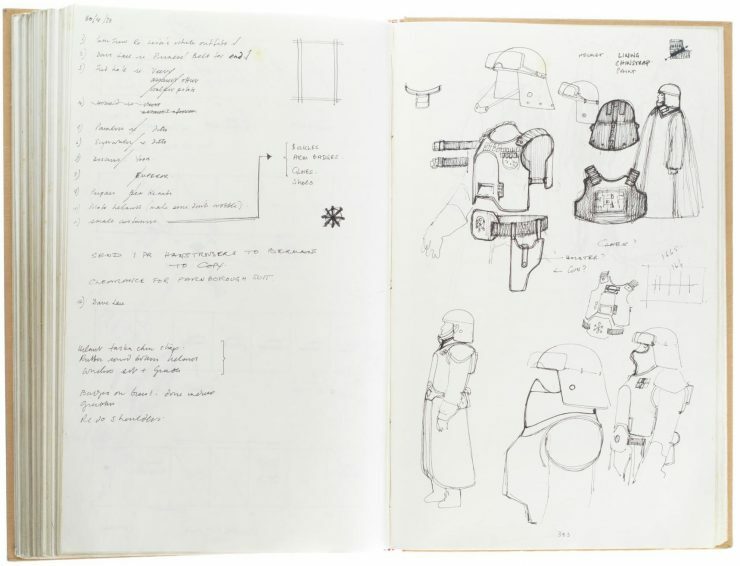 In 1975 Mollo was hired by a young and largely unknown filmmaker named George Lucas for a new space adventure movie named “Star Wars”. 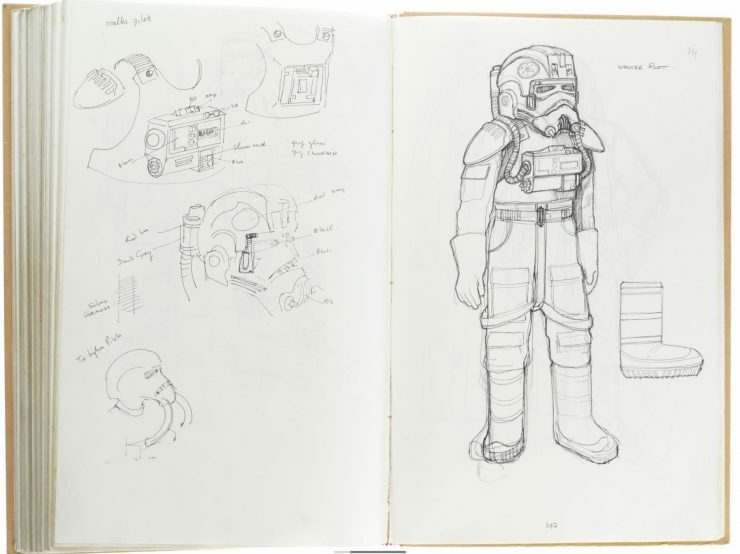 After reading the script and talking to Lucas, Mollo described the film to a friend as “sort of a space western and one of the heroes is a dustbin”. 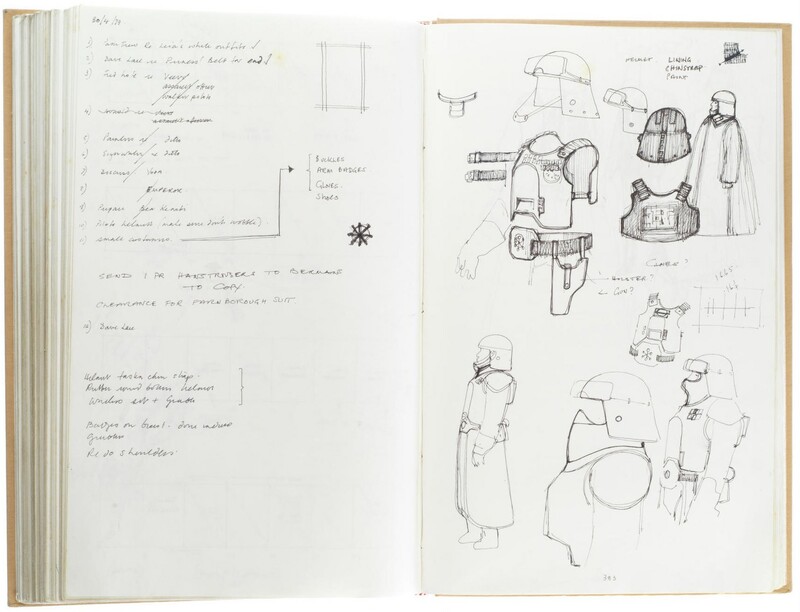 Despite his original skepticism for the movie, he threw himself into the work and designed a full range of military costumes for both the Galactic Empire and the Rebel Alliance, as well as countless alien civilian costumes. 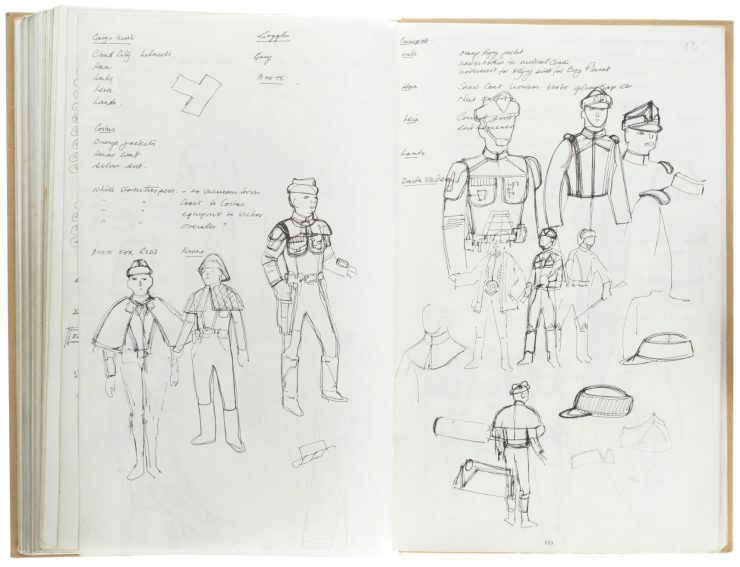 Of course the truth of the matter is that he populated a new universe with a vivid cross-section of both military and civilian outfits – including every character from Darth Vader to Yoda. 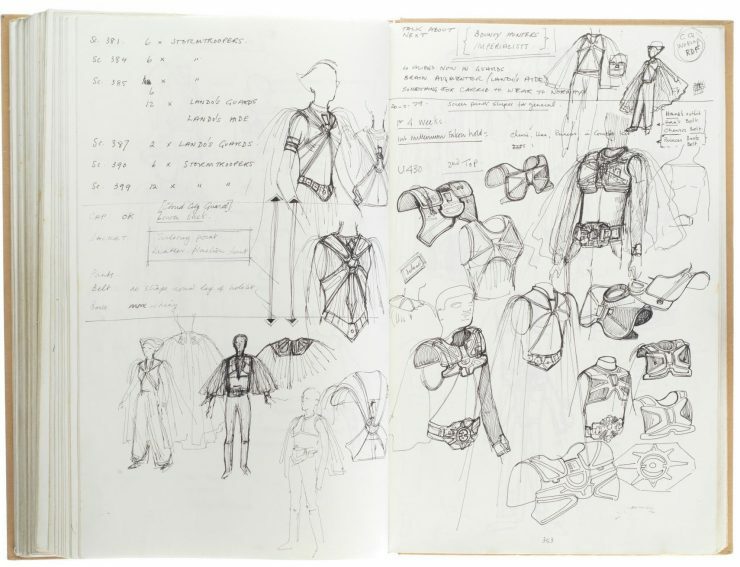 Although John died in 2017 his work lives on, and all costume designers to work on the films have used his work as a foundation. The sketchbook includes a variety of new costumes designed for Luke Skywalker, Han Solo, Princess Leia, and a new character for Episode V – Lando Calrissian. 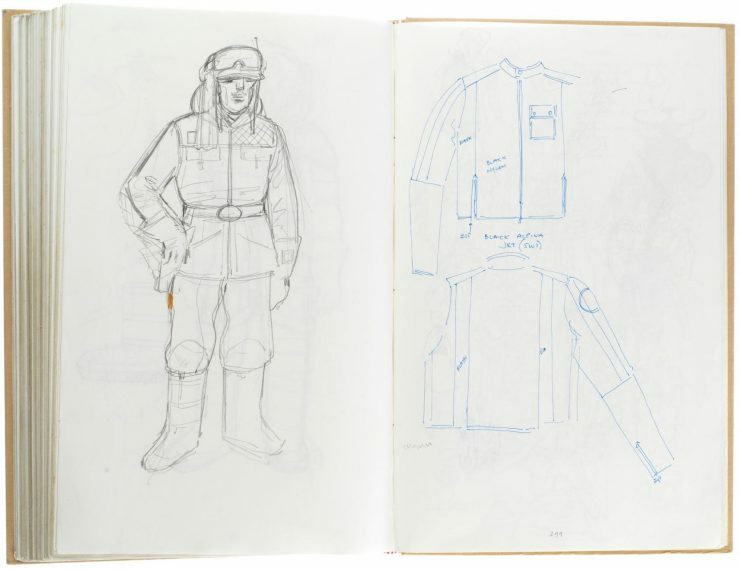 There’s a fascinating array of Imperial uniforms throughout the book including Imperial Snowtroopers, AT-AT “Walker” crew, Rebel Hoth Soldiers, Bounty Hunters, Cloud City Security, and many others. 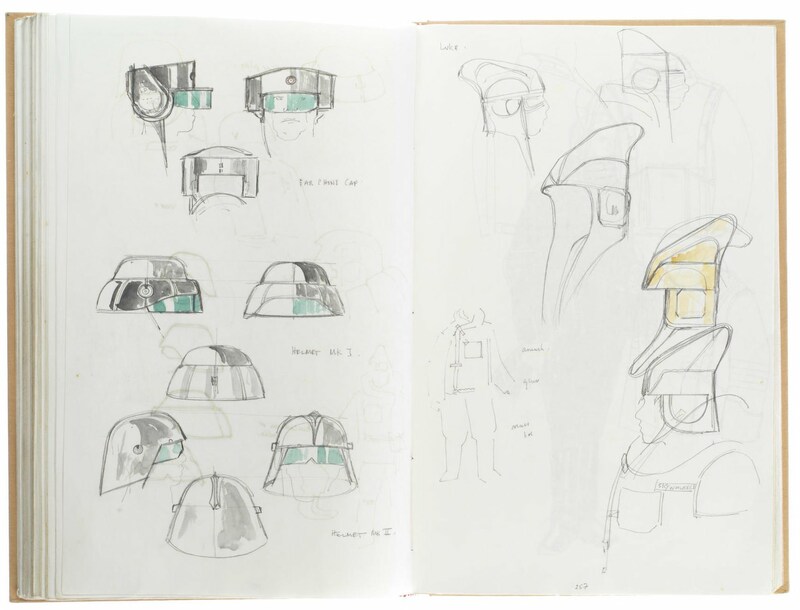 Fans of sci-fi will find it fascinating to see costume designs for The Empire Strikes Back and Alien in the same sketchbook – Mollo did incredible work considering he was new to the genre, creating completely different styles for each film. 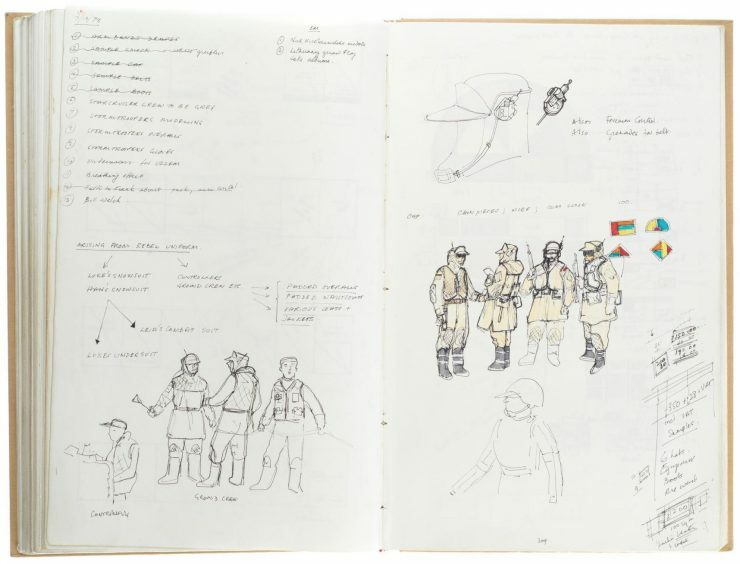 This manuscript contains approximately 65 pages of costume designs for Alien – these alone would be considered invaluable to many collectors even without the main body of work being for Episode V.
Bonhams will be auctioning the sketchbook on the 11th of December, the estimated hammer price is between £80,000 to £120,000 and you can click here if you’d like to read more or register to bid. 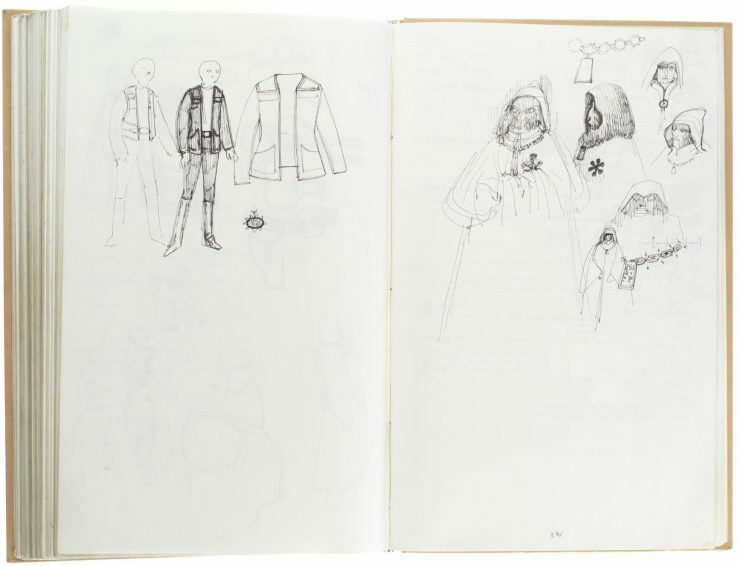 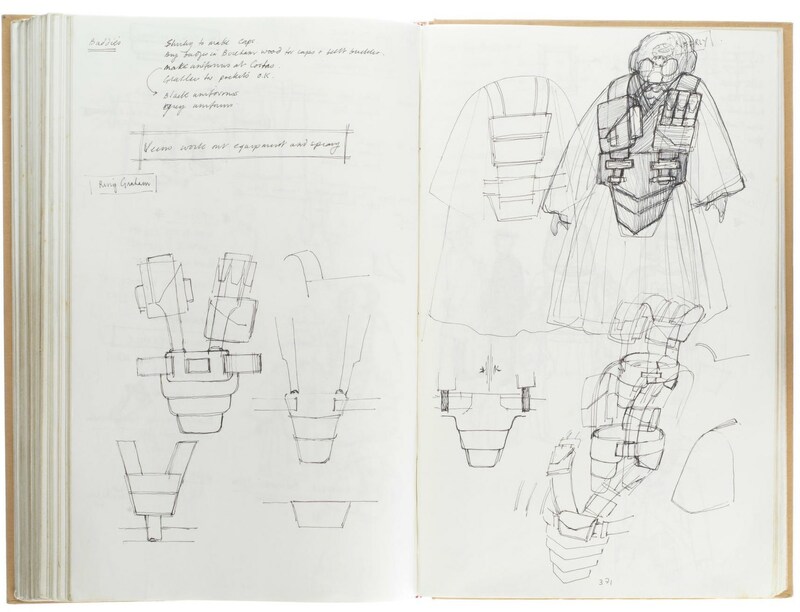 The post The Original Star Wars: The Empire Strikes Back Costume Design Sketchbook appeared first on Silodrome.